In an effort to prevent formation of urine stones. If need be, acetic acid, renacidin or Solution G (which contains citric acid, anhydrous sodium carbonate and magnesium oxide) are used for this purpose. Alcohol wipes for keeping the drainage tube end sterile in case it needs to be used again. Have the aforementioned supplies at the ready. By touching the outside part of the glass only, pick up the irrigating solution; measure 2 ounces and pour into the container. Arrange the urine receiving container under the open catheter end for draining purposes. Swab the catheter-drainage tube connection with the alcohol-infused cotton swabs. Disconnect the catheter from the tube and put the tube away after covering its end while ensuring the catheter end does not come into contact with the urine receiving tray. Withdraw just one ounce of the irrigating solution into the syringe, making sure to push out any residual out of it. Insert the syringe into the end of the catheter. 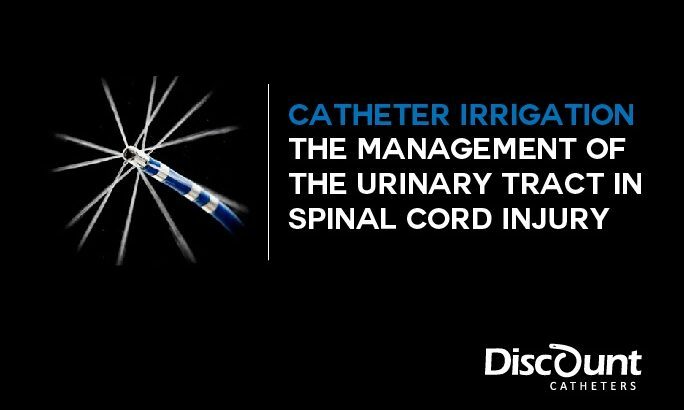 Apply gentle pressure on the syringe plunger and push the irrigation solution into the catheter and up into the bladder. If resistance is encountered during insertion, the catheter should be changed. Always avoid suction to the catheter while it is inserted as this may cause physical trauma to the bladder. Grasp the catheter end with 2 fingers in a pinching position and gently apply pressure to pull out the syringe. Drip the second ounce of the solution into the catheter and clamp it. Repeat the process with the unused solution. Swab the connector with cotton alcohol swabs and attach it back to the urine bag tubing. Do away with the disposable items and wash the remaining supplies. Perform irrigation at the time of changing from a leg bag to a drainage bag. This is usually during bedtime and upon waking up in the morning. If you do your catheter irrigation twice in a day, sterilize 2 irrigation sets at the same time. It is much more affordable to prepare the irrigation solution on your own. Even during catheter irrigation procedure, a high degree of hygiene must be observed. It is also important to actively prevent inadvertently introducing air into the bladder.